Taking the lead in the ‘all creatures great and small’ event is Rockingham resident Emily Tripp. Ms Tripp will be putting her best foot forward with her mum and sister, and best four-legged friend British bulldog Bronco. “This will be my third Million Paws Walk and I’m really looking forward to the day, particularly because I’m taking part with my mum and sister,” she said. “We are massive dog lovers and hugely support the RSPCA’s rescue work in the community, which is why we are also raising funds as part of participating in the event,” she says. RSPCA WA executive manager, community engagement Maree Daniels said the Million Paws Walk event had attracted tens of thousands of dog-lovers and RSPCA supporters over the past 20 years. 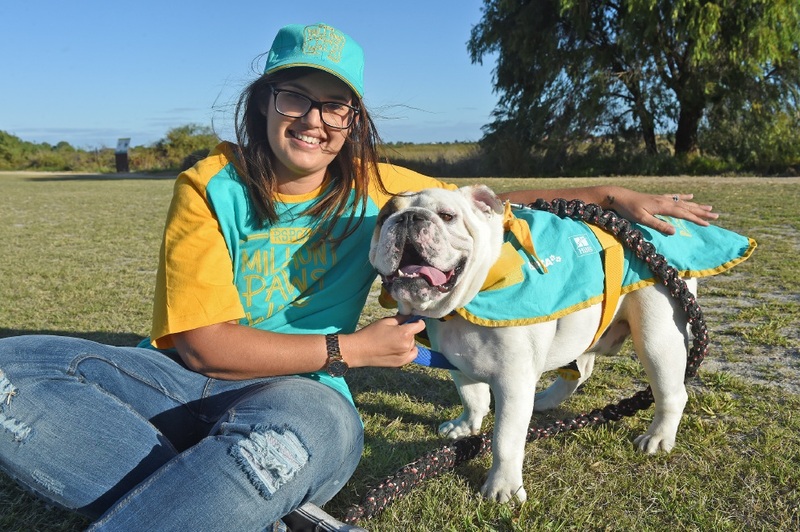 “It’s record-breaking that almost 3000 people have registered in the first couple of weeks of launching our 20th anniversary Million Paws Walk,” Ms Daniels said. Dozens of stalls, events and animal displays will be part of the day, including WA’s quarantine dogs who will be showcasing their detective skills. Participants have a choice of undertaking the 1km, 2.5km or 5km course. The animal welfare charity relies on donations for more than 90 per cent of its funding. All funds raised through donations will go towards vital programs, services, campaigns and helping RSPCA WA to fight animal cruelty. The Rockingham event is at the Rockingham Foreshore at 10am. The South Perth event will take place at Sir James Mitchell Park, Coode Street, with gates open at 8.30am. Register at www.|millionpawswalk.com.au or call 9209 9343.